A blog about Heavy Metal Music! Its hard to believe this is a reality. Keep It True 2016. 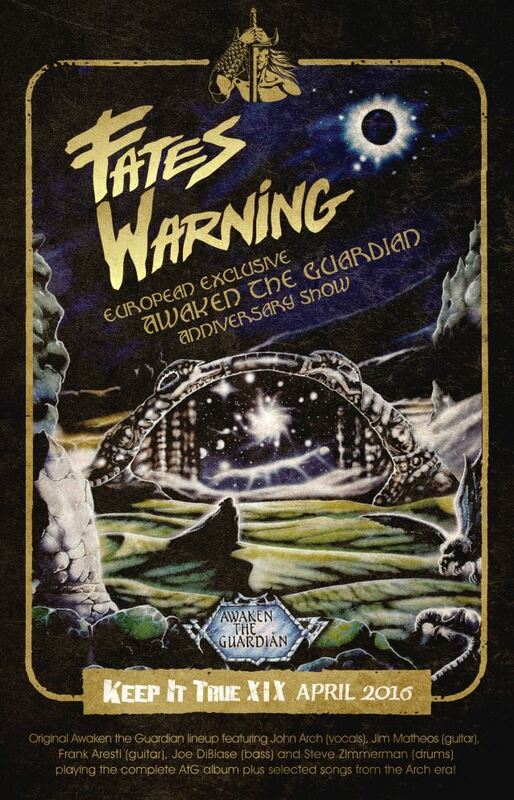 To celebrate the 30th anniversary of “Awaken The Guardian” FATES WARNING will perform the complete album plus more early FATES WARNING songs from the Arch era in the original “Awaken The Guardian” line up: John Arch (vocals), Jim Matheos (guitar), Frank Aresti (guitar), Joe DiBiase (bass) and Steve Zimmerman (drums). This will be an EXCLUSIVE European Show and the first time FATES WARNING will perform an old school show with John Arch on vocals. "Still need to listen to this thing "
"It's "genre" not "genera". Stupid Yank. " "They can't compose a song without him? Yeah, totally. It's not like they ..."
"I know this is an extremely late reply, but my god you are ..."
"Awesome list- so dig the original choices! This is not your grandpa's ..."